In our efforts to nurture a sense of community across our statewide network of cultural heritage practitioners and beyond, our C2C team has bravely plowed ahead into the social media realms of blogging and Facebook. 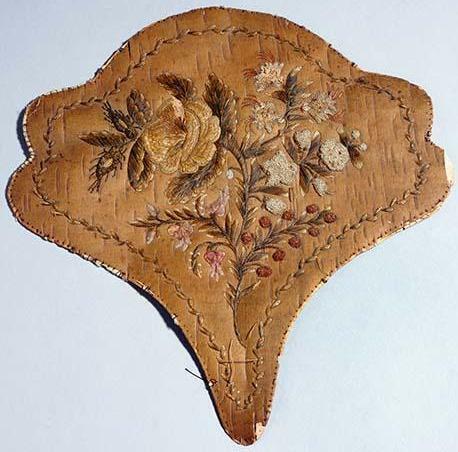 By offering preservation tips and sharing stories from NC’s cultural heritage collections, we have carved out a fairly small online niche. We have 240 followers and another 30+- Facebook followers view our posts each week. 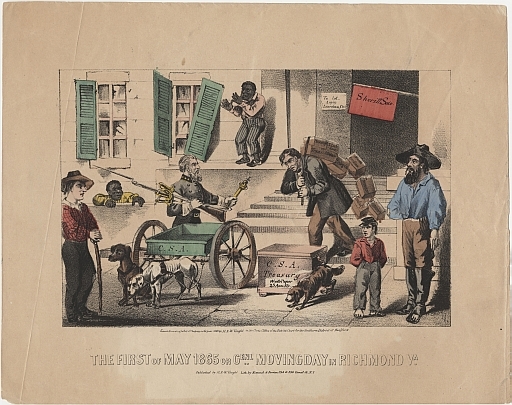 Followers’ online addresses suggest that about 2/3 of them hail from NC. Though small, our audience extends across the globe, with over 3 thousand views in 2014 from other English-speaking countries and scattered views from 112 additional countries on every continent. We appreciate all of our readers and especially those who take the time to offer feedback and share any useful or interesting tidbits they find on these posts with colleagues. The wordpress forum provides quantitative information about blog use by tallying the number of times viewers click on a given post. 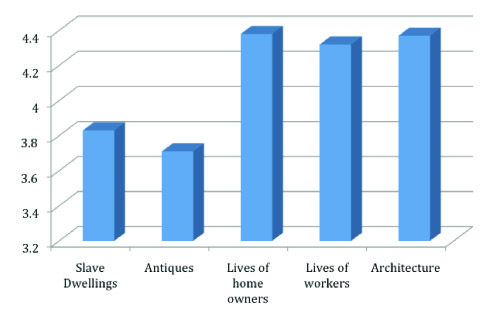 Sometimes we can infer more qualitative data about topics readers found the most helpful. As a result, here are some superlatives for posts based on views during the past year. Most curious: “Beware Carpet Beetles” received a tally of 3,500 views. 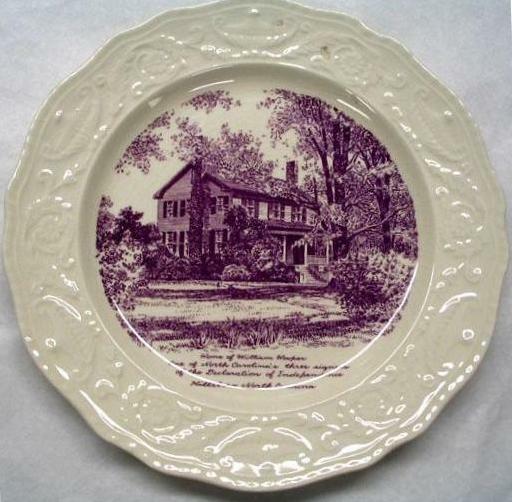 Although it is important to learn about these heritage eaters for integrated pest management and collections preservation, it’s astounding that this post [from 2012] has been our most popular this year. Also perplexing is that there are rarely corresponding referral links or signs of readers clicking on a link the post provides. These statistics lead us to wonder whether the high number of views is the result of human activity or whether instead, the post has gotten attached to some kind of repetitive robo-visitation. The following superlatives only had views in the hundreds, not the thousands. 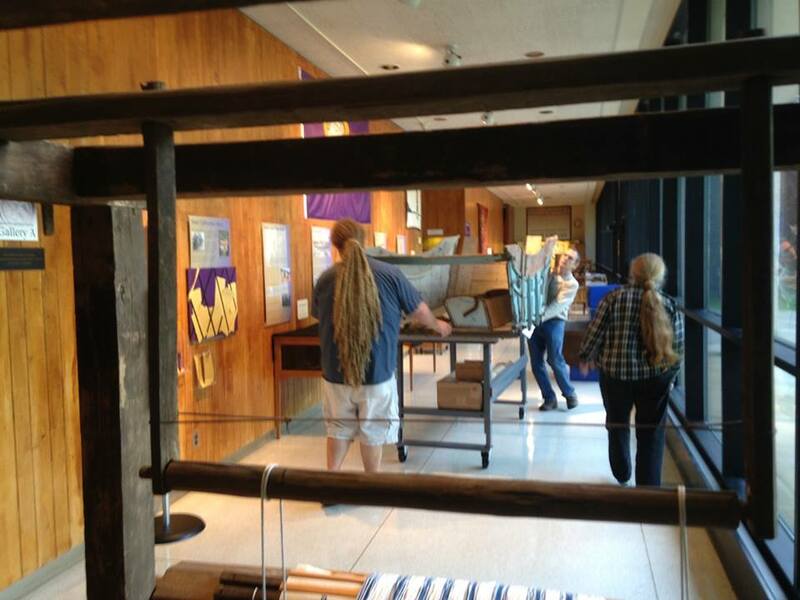 Best preservation tips: “Pros and Cons of Plastic Storage Containers” and “Sealing Wood for Storage and Exhibition“—a guest post by conservator Marc A. Williams went live in 2012 and 2011 respectively and address essential preservation concerns, applicable for even the smallest museums. 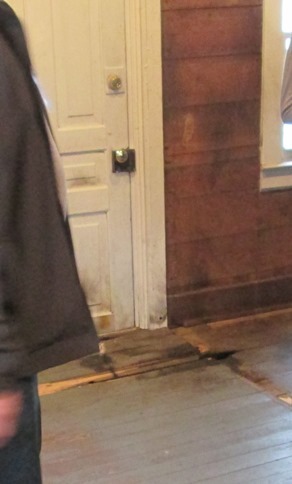 This quilt from an NC county historical museum is a good illustration of the importance of sealing wood before using it to mount artifacts–especially textiles and paper. 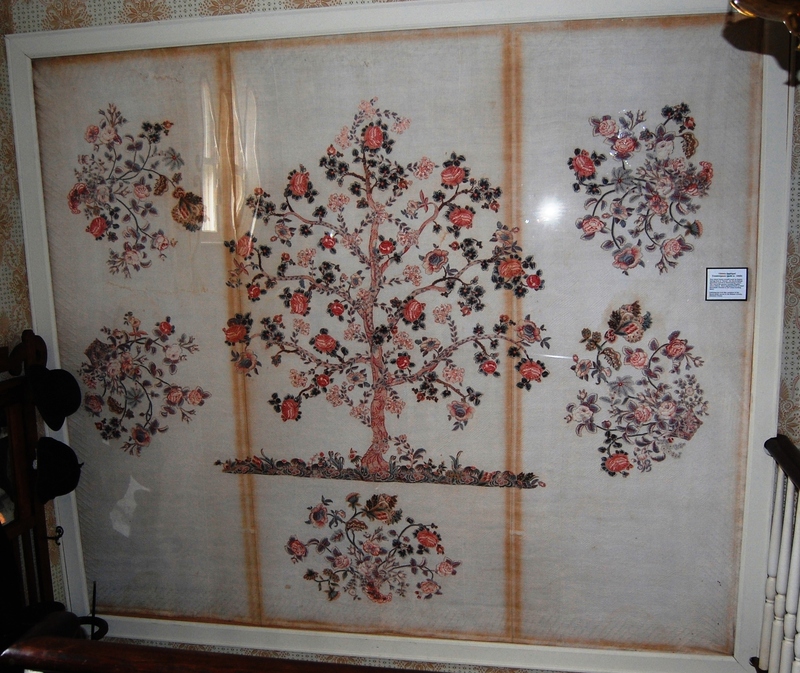 The yellowish, brownish lines on the quilt are the result of acid migration from a wood frame behind. A plexi cover over the quilt trapped the acidic vapors inside a narrow space. 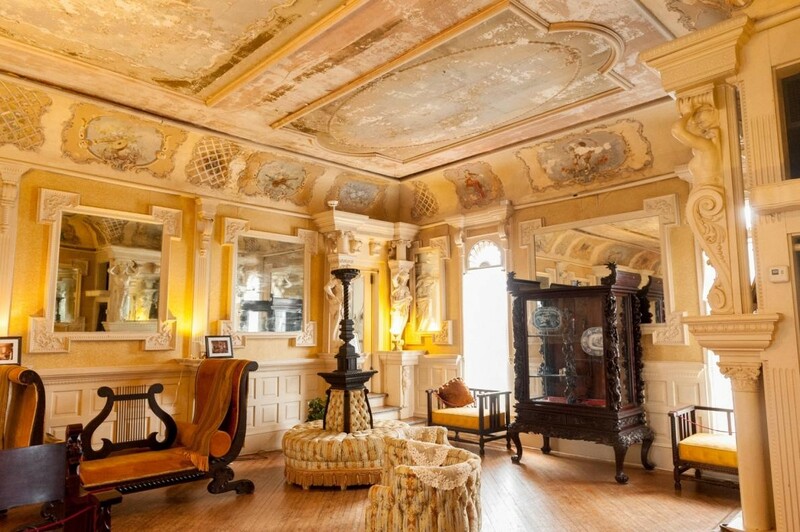 Although we can’t all have the in-depth preservation knowledge that many conservators–like Williams–have accumulated, we can learn enough to avoid such errors and strive to “do no harm” to the artifacts under our care. 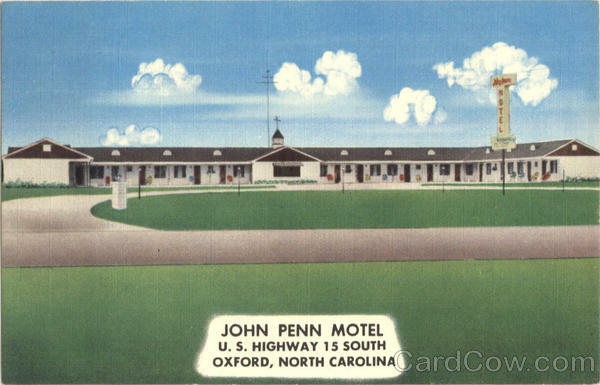 Cross-disciplinary: “Mineral Hazards” is a guest post by Chris Tacker, who is a curator at the NC Museum of Natural Sciences, published in spring of 2013. That it is our 4th most viewed individual post in 2014 is a testament to the usefulness of Chris’ knowledge and the power of reaching out to colleagues outside our history discipline. 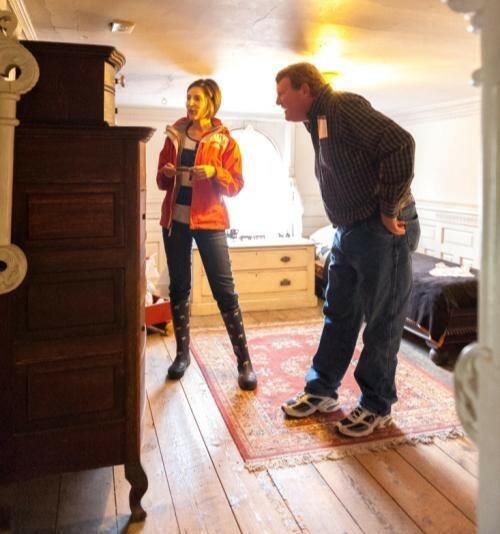 Most popular 2014 posts: Both “Thinky-Drinky” & “Expendifacts” earned this title and both deal with hands-on experiences in historic houses and sites. 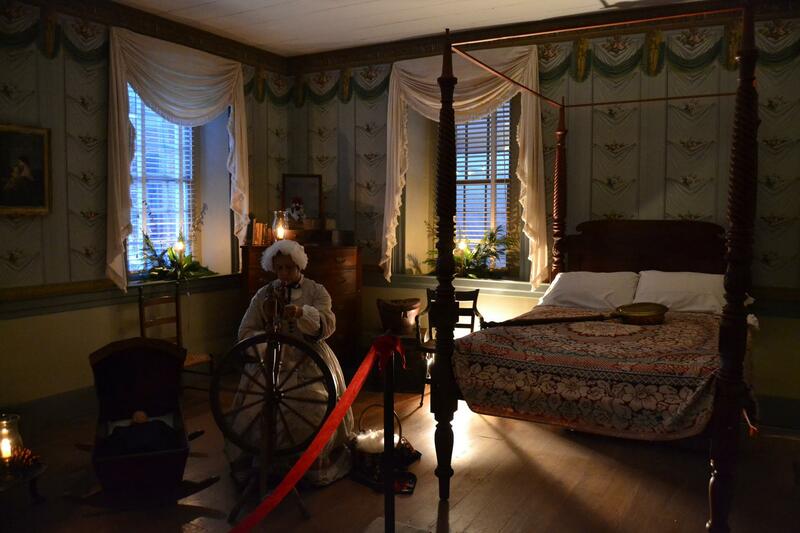 Most collaborative: “Sleep Tight,” another guest post published this year, was written by a public history graduate student from the UNCG program who worked with staff from the High Point Museum to re-string a period bed at Blandwood Mansion. 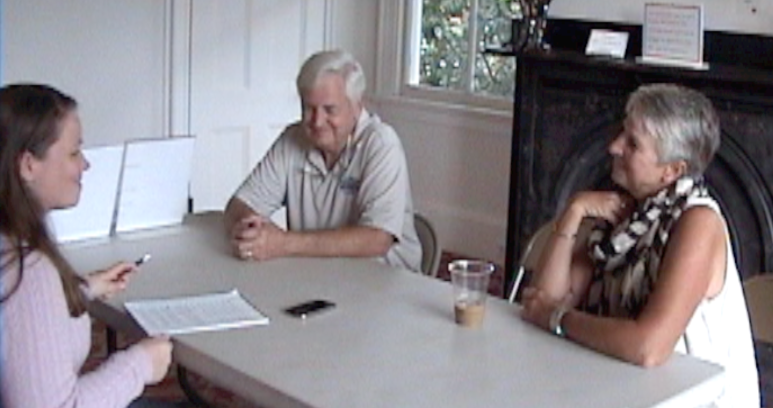 The group of four used a video that colleagues from Historic Hope Plantation developed for guidance. 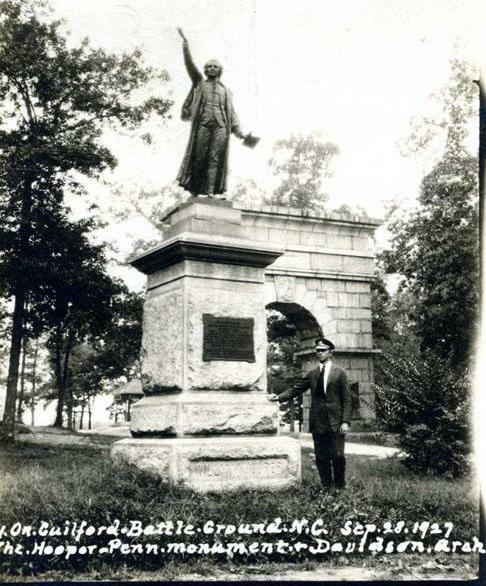 That’s a total of 6 NC cultural heritage practitioners and 4 allied institutions involved in the project that our blog has the privilege of showcasing! We hope to continue to provide sometimes exciting and always informative content in 2015, so stay tuned and keep us posted on the challenges you’re encountering as well as what’s working for you. 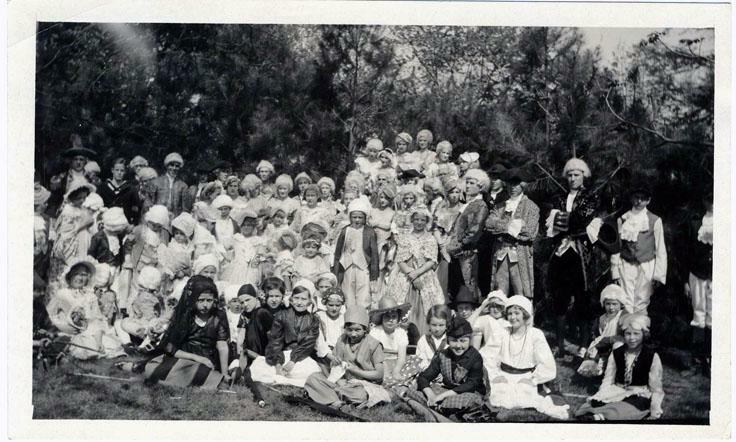 Thanks to members of our cultural heritage community across the state for sharing these holiday photos. Our C2C team wishes you wonderful holidays and all the best in 2015! A glimmering moon rises to brighten the dark solstice season sky behind the Currituck Beach Lighthouse. 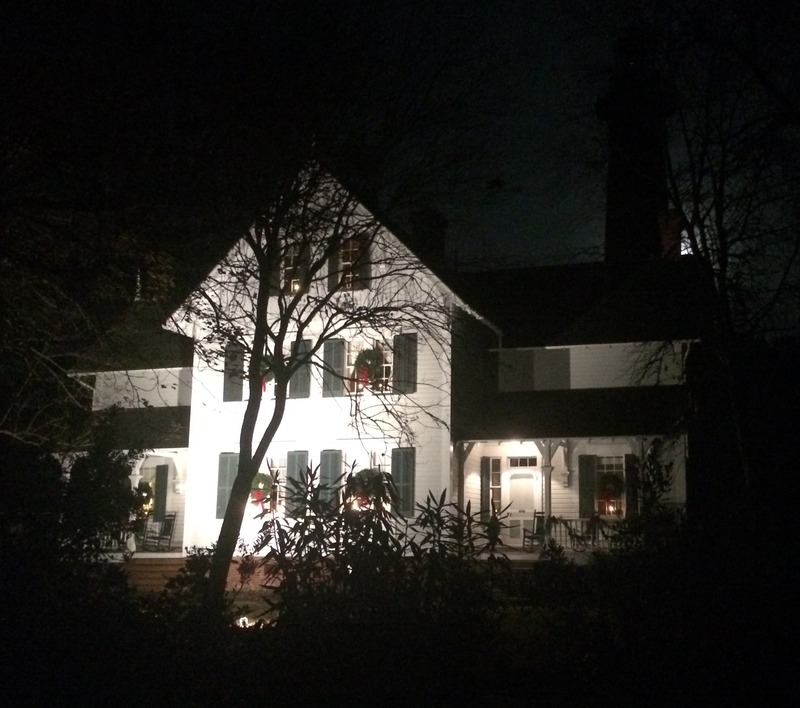 The Keeper’s House in the foreground is decked out in Christmas finery. 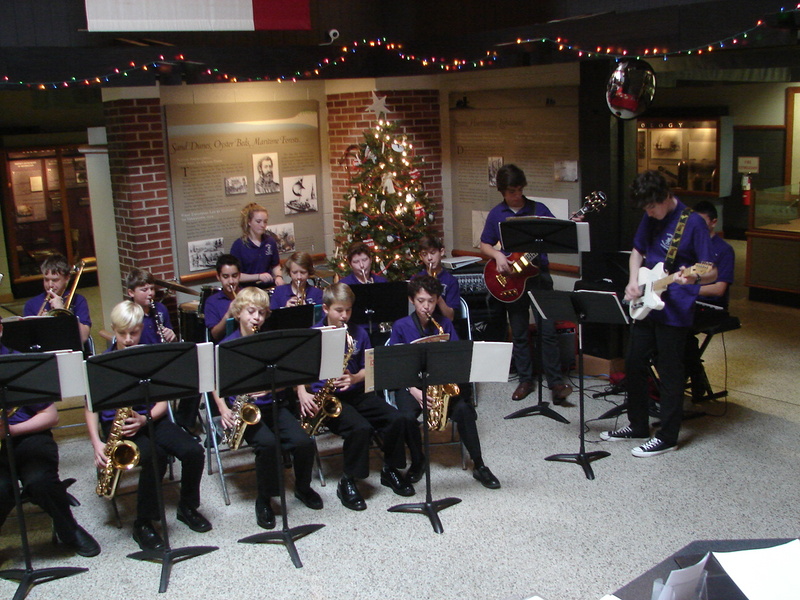 The Murrayville Middle School Jazz Band provided holiday musical favorites at the Fort Fisher State Historic Site’s Holiday Open House. 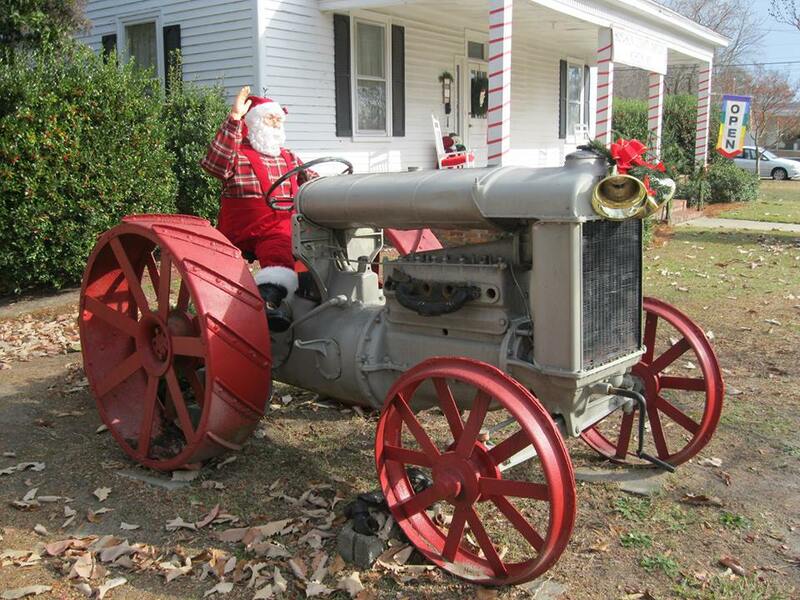 Santa rides a tractor at the Sampson County History Museum in Clinton. 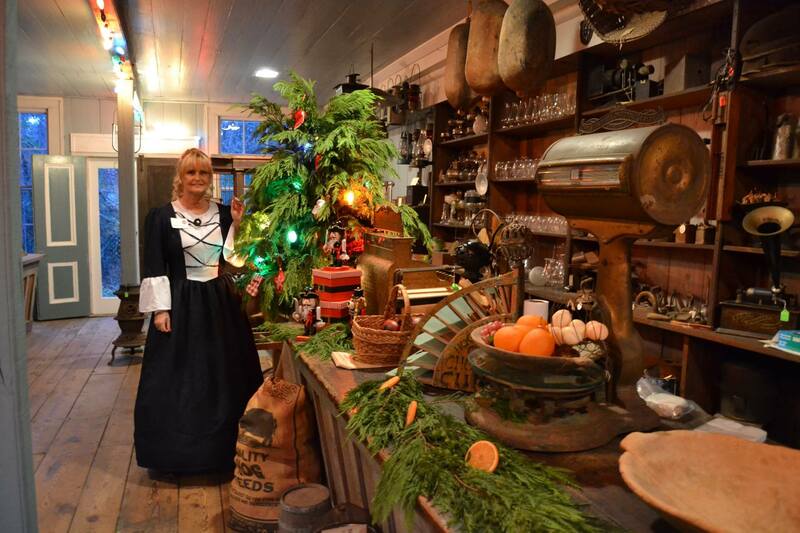 Meanwhile, the Winborne Country Store in Murfreesboro showcases seasonal greenery and treats. 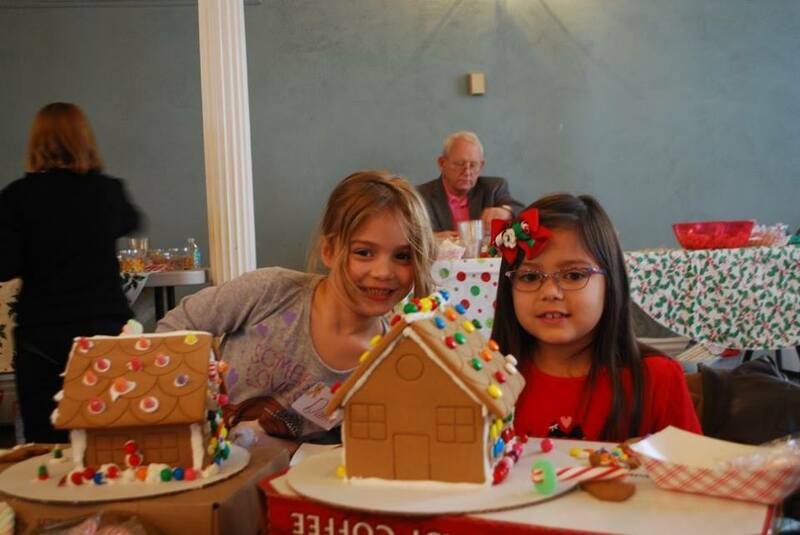 A gingerbread house-making event delights visitors of all ages at the Rowan Museum in Salisbury. 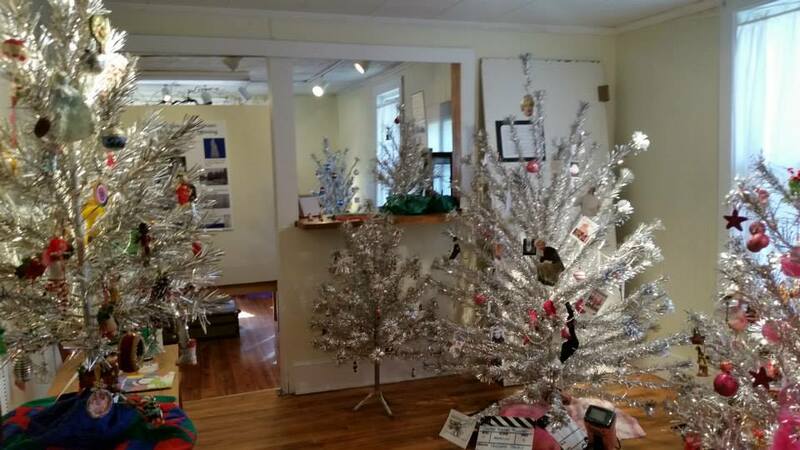 The Transylvania Heritage Museum hosted a traveling exhibit of mid-20th-century aluminum Christmas trees, coordinated by The Aluminum Tree and Ornament Museum (ATOM). 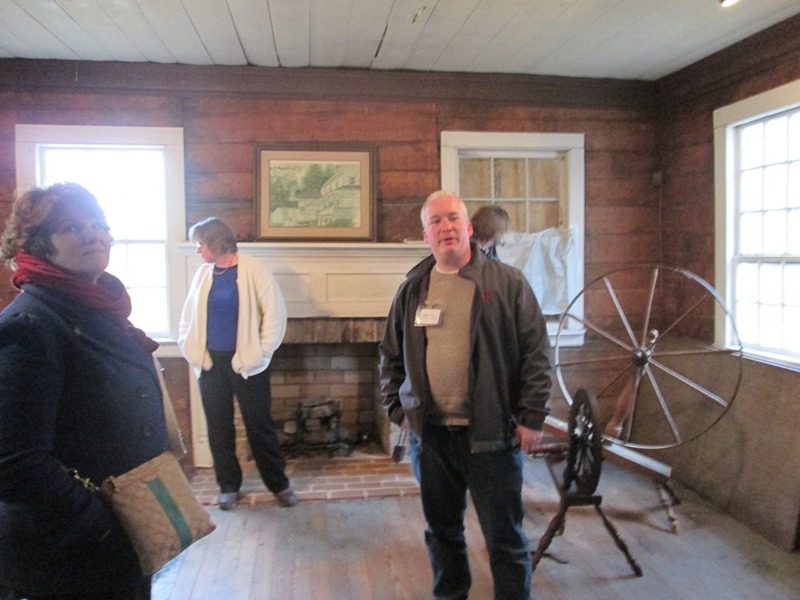 Visitors enjoyed the display from Saturday, November 29th until December 20th, when the museum closed for the season. 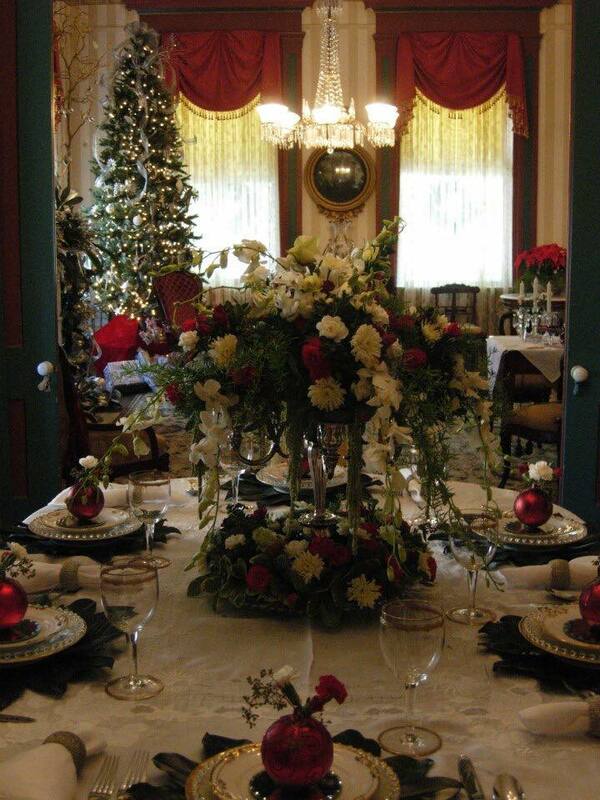 Beautiful decorations grace the dining table of the Lower Cape Fear Historical Society‘s Latimer House. 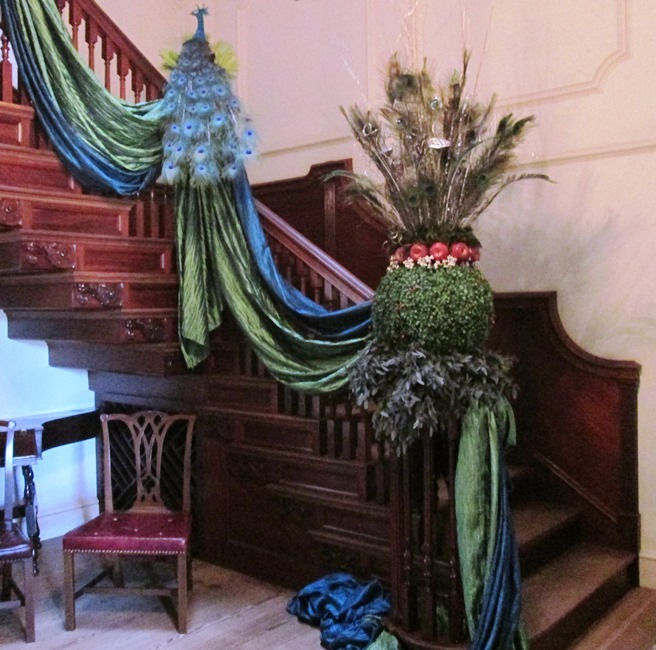 Not to be outdone in the realm of fancy adornment, Tryon Palace focuses its annual decorating efforts on a specific theme. This year the peacock (right) was the inspriration. Simpler ornaments predominate at humbler sites. 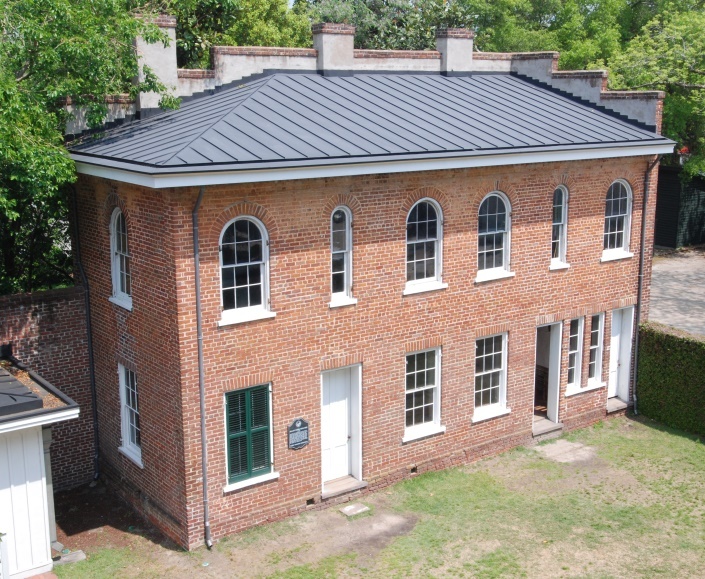 For example, candlelight illuminates a spinning demonstration at the Joel Lane Museum House in Raleigh. 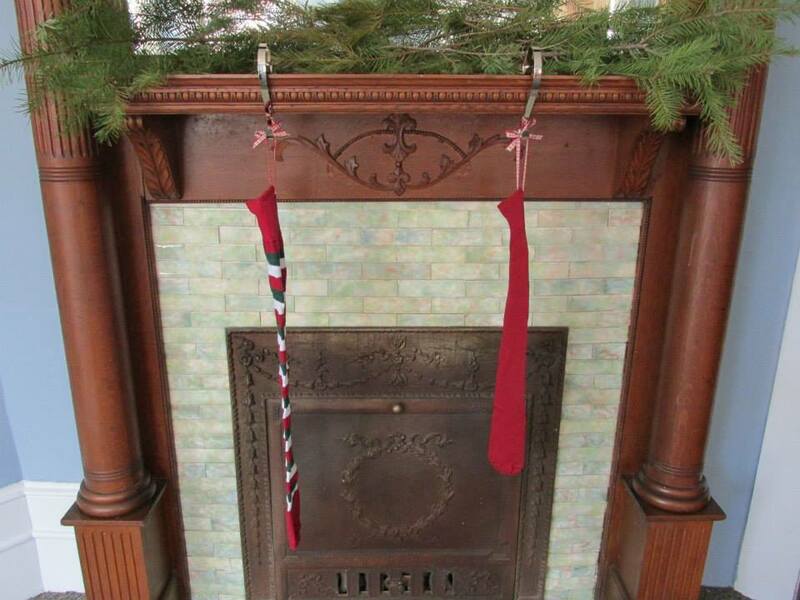 Stockings hang from the parlor mantle at Historic Edenton’s Zeigler House. 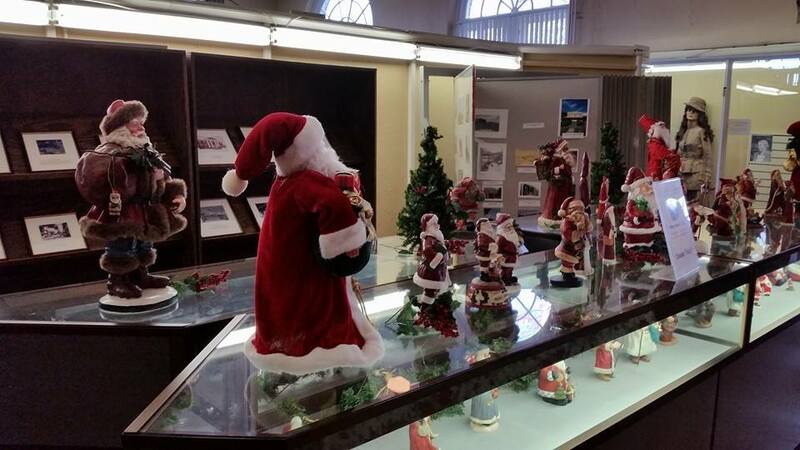 A parade of Santa Clause figurines ushers in the season at the Caldwell Heritage Museum in Lenoir. A tall Christmas tree brightens the stairwell at the NC Museum of History in Raleigh. 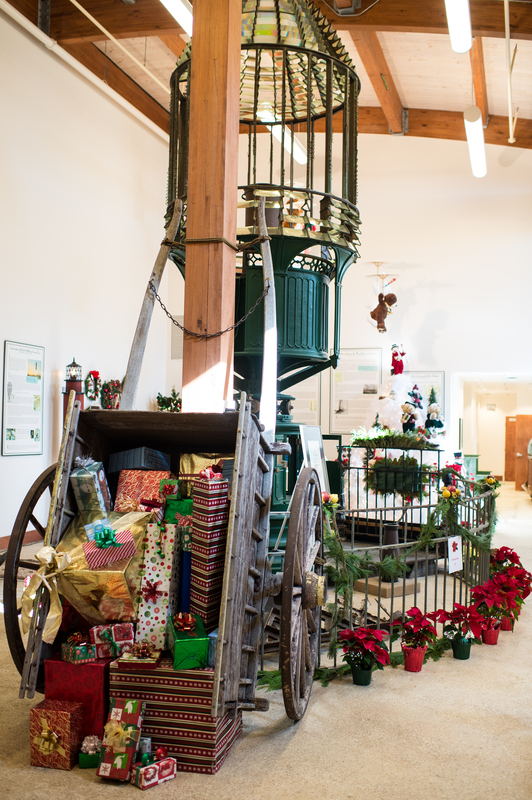 Festive decorations surround the Fresnel lens at the Graveyard of the Atlantic Museum in Hatteras. 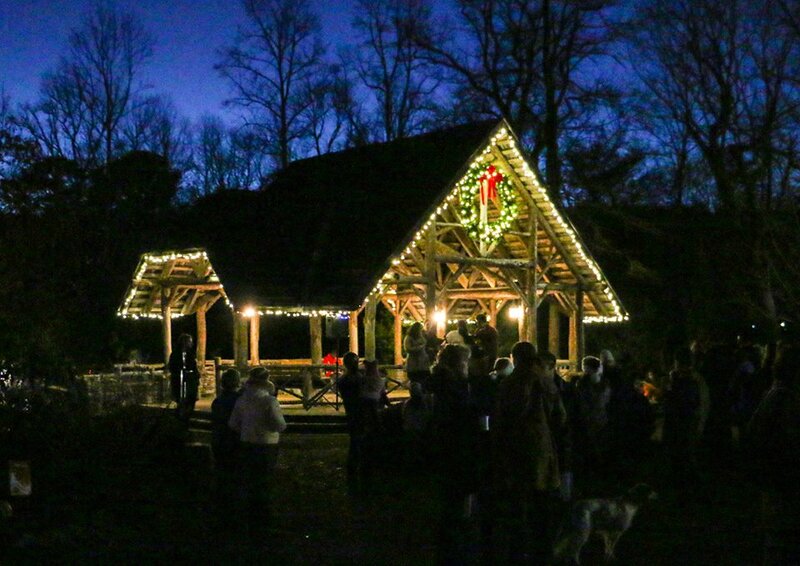 A crowd gathered around the pavilion on December 1st to sing carols at the Cashiers Historical Society‘s Lighting of the Town Tree in the Village Green. May your holidays be similarly filled with light, music, and many warm gatherings of friends and family.